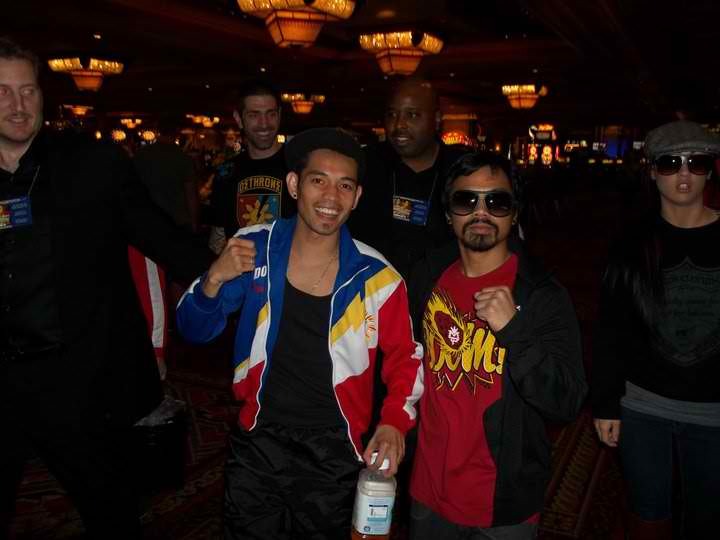 Manny Pacquiao lookalike Allan Rivera Manuel is also becoming popular in Las Vegas just like Manny Pacquiao, who is up for a big fight vs Shane Mosley in 10 hours from now at the MGM Grand Garden Arena in Las Vegas. An article on Yahoo!Sports last Friday said that Allan Rivera Manuel, a 26-year-old Filipino from Houston, Texas, is already enjoying celebrity status and has been mistaken many times as Manny Pacquiao, especially when he goes to Las Vegas, where most of Manny's fights were held. 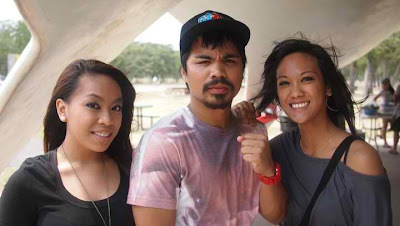 Fans would scream at him and would request for a photograph with him believing he's Manny Pacquiao, the #1 pound-for-pound boxer in the world. The report also said that Allan Manuel already has his own bodyguards (his friends stand as his bodyguards) and even Puerto Rican boxer Antonio Margarito, whom Manny defeated on the ring last November, was once fooled, thinking he's Manny during an encounter. 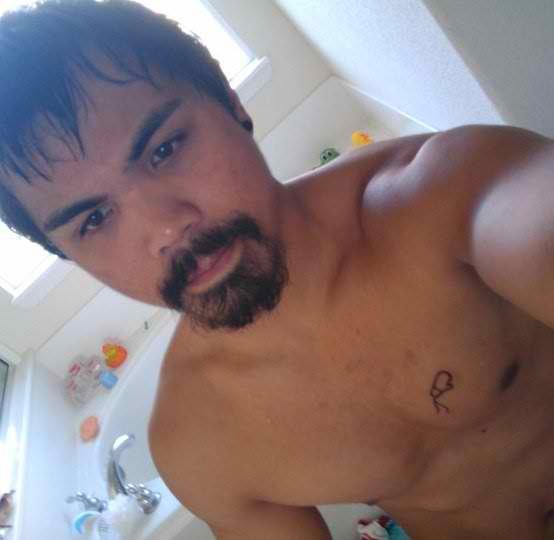 I looked for his photos to be fully convinced and I was brought to his Facebook Page. And now I'm very much convinced. Allan Rivera Manuel really looks like Manny Pacquiao, especially when he puts his "shades" on. 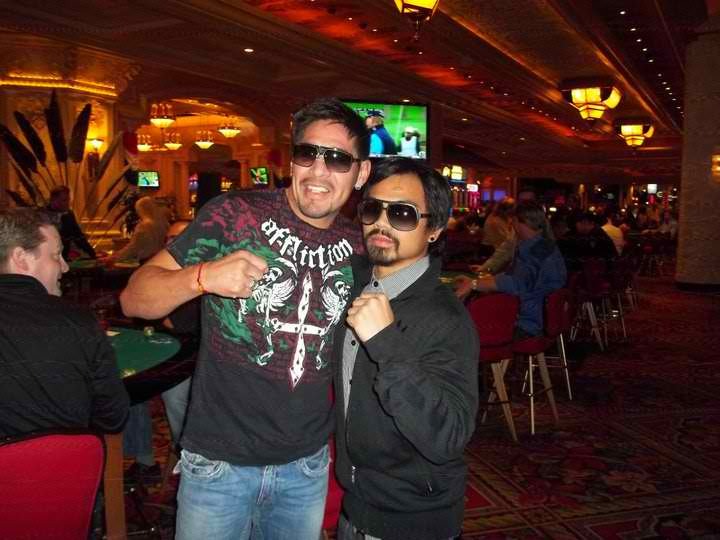 Manny maybe richer than him, but I think Allan is cuter and hotter than Manny.